I’ve been home for several weeks this summer following back surgery. Although the surgery was a success, recovery isn’t easy or fun; I feel like I’ve aged a hundred years. Taking a shower uses all the energy I can muster. My left leg and foot are numb. I can’t lie on my back because of my slow-to-heal incision. Because my left hip hurts from the bone graft, I can only sleep on my right side, and now my right shoulder aches. My skin is hypersensitive, I walk as if in slow motion, and by early evening, I am cranky and out of sorts. Tonight was no exception. I had gone to a home visit for my *CASA volunteer work, and returned home very sore and very tired. I love this work, but most of the situations surrounding abused and neglected children are heartbreaking. Someone is always sad. A parent may lose his child. A child may be taken from her mother. There is often violence. There is often addiction. There are always tears. And some nights, especially when I am tired, they are mine. Exhausted and discouraged, I took a shower, put on my pajamas and settled into my recliner to relax in front of the TV set. When the phone rang at seven o’clock, I thought the caller would be one of my daughters checking up on me. I was surprised to hear a male voice on the other end. I have received these calls before. I know they are a scam, meant to glean information, and I usually just disconnect the call. But tonight was different. Perhaps it is because I have seen the confusion in my CASA children’s eyes when their mommy doesn’t show up for a planned visit. Perhaps it is because a four-year-old worries about her sister’s safety instead of thinking about what Disney princess she likes the best. Perhaps it is the hopelessness I see when a parent faces a judge. Perhaps it is that the line of addiction is invisible and nobody sees it until he’s past it, and then it’s too late. Perhaps it is knowledge that at one point or another, we are all just one bad decision away from disaster, and that sometimes it is only by the grace of God that we choose well. Or perhaps it is because no matter how tired, no matter how sore, no matter how discouraged, I have this unceasing drive to make things better. For whatever reason, I was going to take a different approach this time. I could hear John breathing but he said nothing. Now perhaps John (if that is his real name) doesn’t care a bit about what I said. Perhaps he just merrily dialed another number in hopes of scamming the next customer. But maybe…just maybe, he’ll think about the man he is, and the man he wants to be, and the man his mother wanted him to be. Because sometimes it is just one decision. 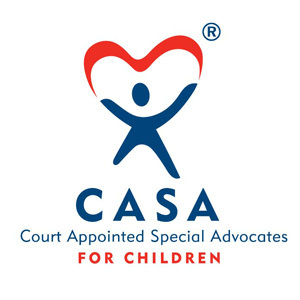 *If you want to know more about Court Appointed Special Advocates, message me, or look up your state’s CASA website. I guarantee, it’ll change your life. 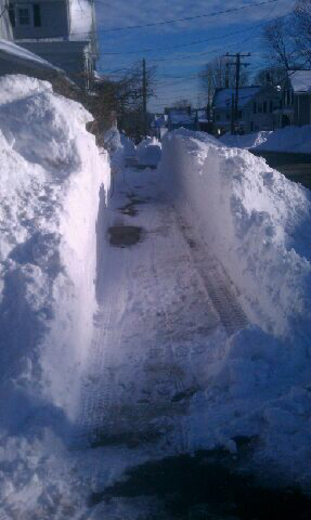 New England has been hammered with heavy snow and frigid temperatures for the past several weeks. Boston has been practically shut down and even New Hampshire, where snowy winters and subzero temperatures are common, has been challenged by the relentless cold and drifting snow. 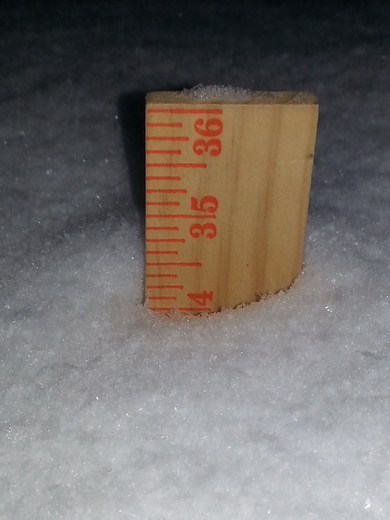 After the fourth blizzard in as many weekends, I woke Monday morning and checked the news for the temperature. It was five below zero with wind chills at least four times as cold. After a hot shower and two cups of coffee, I layered a scarf under my coat, pulled on my boots and trudged through the snow to my car. It reluctantly but thankfully started, and shivering all the while, I drove to work. The parking lot at work looked like something from a science fiction movie, with twelve-foot snowbanks and snow-covered paths. Trying to ignore the wind that bit at my face, I locked my car and hurried into the shelter of the building, where I bumped into the smiling face of one of my coworkers. He is a favorite of almost every employee where I work. He is in his early twenties, with spiky red hair and a perpetual grin. He comes from Project Search, a program that places high school graduates with developmental challenges in the workplace. He has been at my workplace for several years, and often stops at my office to chat. He tells me his favorite video games and the movies he’s watched over the weekend. He asks my favorite football team and laughs at me when I admit to not knowing how a fantasy team works. I know he usually walks to work and back, even though he lives a couple of miles away. “Are you walking home today?” I asked, concerned about the subzero wind chill. “Nope.” My dad drove me here and he’s picking me up.” He replied. “Great. Have a good day,” I smiled, and started for the elevator. I’ve thought about this all week. 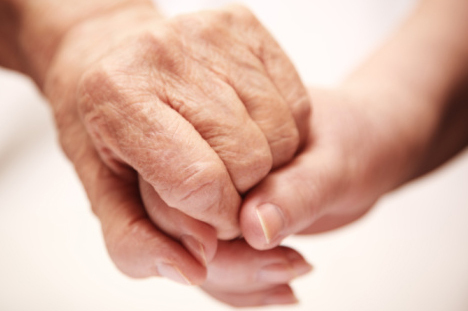 How often do we say thanks for caring? How often does someone say it to us? And, is caring such an anomaly that it deserves special recognition? It was by watching my mother that I learned that acts of caring are generally free, but their value is more precious than gold. She was one of the most caring people I have ever met. She checked in on the neighbors during storms. She baked bread and mended clothes for people at work. It was a rare dinner when there was not an extra place set for a visitor. And she was never too busy to offer coffee and sympathy to someone who was sad, or hurt or just needed an ear. She always took time for a hug. She never walked past a stranger without smiling a hello. She stayed up late when her eyes were heavy with fatigue to finish sewing a costume or a dress that was needed the next morning. “Me? Why? I’m fine!” I replied, hiding the fear that the lump in my throat would choke the very life from me. “You’re all alone,” she stated, her eyes filling with tears. We didn’t speak of the real truth. Where my siblings had their spouses, I was divorced. Alone. She knew she wouldn’t be there to comfort me, to guide me, to help me bear the sorrow in the days to come. Her gaze relaxed and she smiled. Releasing her from her responsibility was the last gift I could give her. You taught me well, Mom. Thanks for caring. I don’t know your name, but I want you to know I’m watching you. I watch you as we leave for work at the same time every day. You smoke your cigarette while your car warms up and nod to me as I get into mine. We exchange “good mornings” as we shiver in the morning cold. We smile as we scrape the ice from our windshields, and wave as we leave the parking lot. I watched you this morning when the plow left sixteen inches of snow between the apartment house door and the parking lot. I watched as you kicked out a path before me, so I could walk through without sinking in deeper than the tops of my boots. 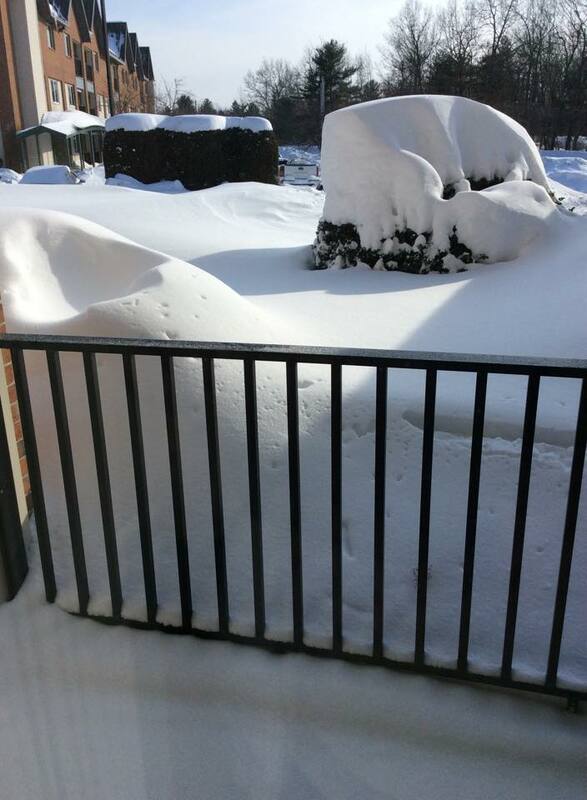 I watched as I discovered that my car was plowed in- the third time this week- and you offered to shovel it out, even though you were busy cleaning off your car and your wife’s. I watched as you sat in your idling car to make sure I was able to pull out of the space where my car was snowed in on all sides. You didn’t leave for work until you knew that I was able to get to mine. When I was growing up on Green Street, my parents taught my siblings and me to care about others. They insisted that we shovel out our elderly neighbors. They offered our services to run errands. They called upon us to carry heavy items, care for babies, mow lawns and move furniture. And they never allowed us to take a penny in return for our efforts. In doing so, helping out became part of our nature. But sometimes it seems that helping out is a lost art. Many would have us believe that the only way to make it through life is to ramrod one’s way, eyes on the prize, never knowing that like Mr. Magoo we leave a trail of chaos in our wake. Life is all about trying to get somewhere first. But you, young man who lives down the hall, are different. Your parents must have been like mine, teaching you to help out. Now that you are grown, it is part of your nature. Your eyes have strayed from your goal and focused on those around you. And although you may never have a penthouse apartment or the corner office, you have something far more valuable. You have heart. I’m watching you. I say a little prayer for your success. And I say thank you. My father had a love/hate relationship with football. He loved the game and talked about playing when he was in college, although I never knew if he was a member of the school team or if his career was limited to pickup games on the campus fields. At any rate, he watched game after game on the television during fall and winter weekends. The family only owned one television set, and my dad hogged, dictated, directed the programming. Weekends were devoted to sports, and most often that meant football. My dad sat in his easy chair and alternately cheered for and yelled at the quarterback. When his team was down, he stomped from the living room to the kitchen, swearing off football forever, and then returned to his chair to watch the rest of the game. He yelled if my mother’s sewing machine created static on the screen during a play. He yelled if we kids walked between him and the set. He yelled because his team was ahead. He yelled because his team was behind. Once, in an attempt to bond with him, I asked him to explain the game. Thirty minute later, my eyes glazed over, I stumbled from the living room more confused than ever. I was convinced that I would never understand the game and decided that I would spend my weekend afternoons doing something more interesting. To fully grasp this, you need to understand that I was brought up in a generation that valued women one notch below the family dog. If you don’t believe this, take a look at the advertisements that were popular when I was in my formative years. 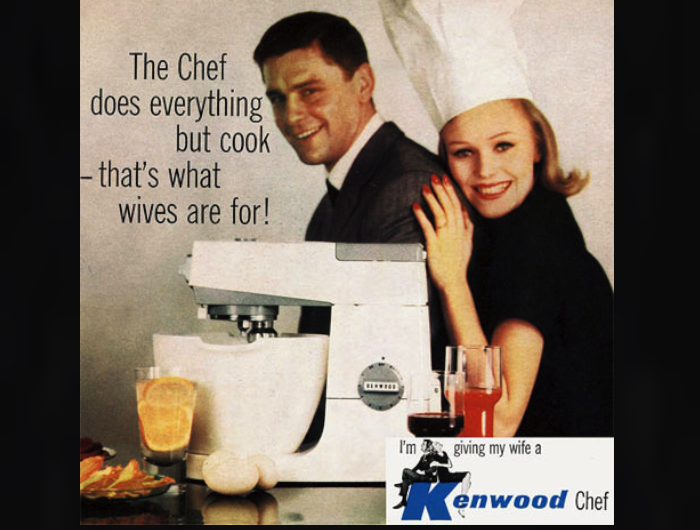 When I was a kid, girls were taught that they could grow up to be housewives (really? married to a house?) 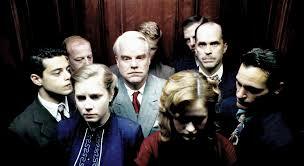 nurses, teachers or secretaries. 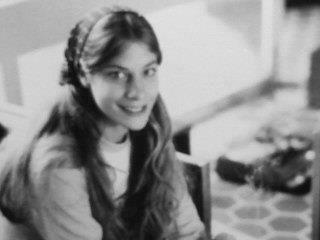 Always a bit of a rebel, I was the first girl to ever ask to take high school shop. 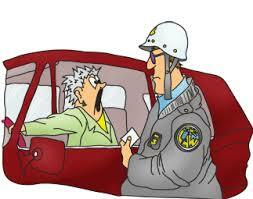 I thought the principal was going to have apoplexy, but after several meetings, permission was reluctantly granted. Oh the times they were a-changing. For the next few decades, I was content to avoid football games. My son and his father often watched games on TV, but I busied myself with other activities. When my kids were part of the high school band, I went to football games, but mostly concentrated on what the band was playing rather than how the team was doing. I never felt that I was missing anything. Until last winter. 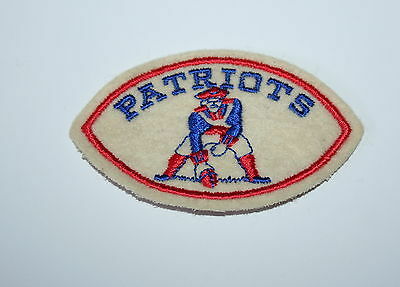 At the end of football season I was channel surfing on a Sunday afternoon and fell upon a Patriot’s game. 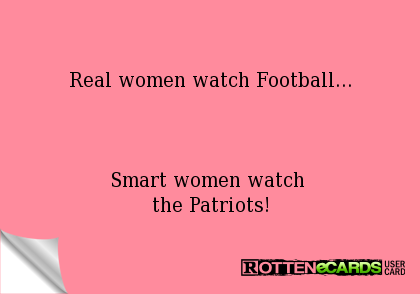 I had noticed that many of my women friends watch football, so I thought I might give it a few minutes. Something strange happened- I rather enjoyed it. When the season ended, I thought nothing of it, but when this season began, I started to keep track of the Patriots wins and losses. I went to the NFL website and read the rules of the game. By the play- offs, I was watching from my sofa, yelling and cheering. Dad would have been proud. I noticed small changes in how TV land regards women. 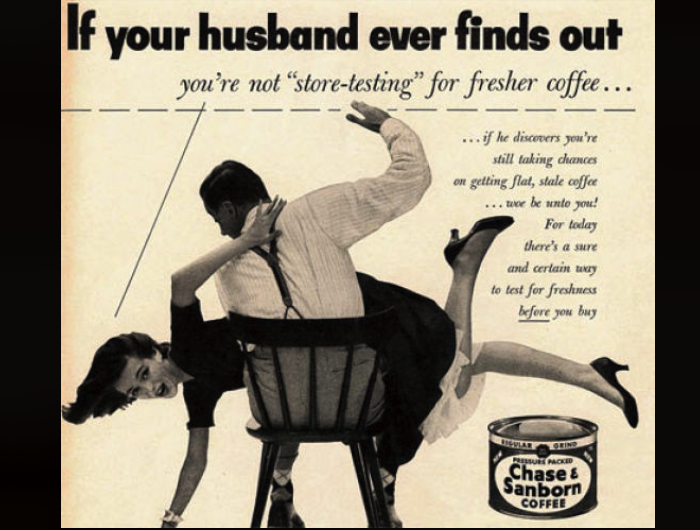 Commercials shown during half-time are no longer as demeaning toward women. Women reporters are interviewing players on the field. According to a September 2014 in the Washington Post, women account for 45% of the NFL’s fan base. I found that astounding. And encouraging. My children were raised to believe that their desires should not be dictated by their gender. My daughters embrace their femininity, but have never been afraid to try something because it has been branded as a “boy” activity. My son respects women and regards them as different in substance but equal in value. Will I ever turn down dinner and a performance of “La Boheme” so I can watch a football game? Not on your life. But will I be tuning in to see if the Patriots win the Super Bowl? You bet your life. summer camp, and had little success. However, this time I had a teacher who taught me the proper focus, stance and grip. I mimicked his stance and tried to follow his instruction. He explained that the bow should be brought into position and the string pulled back in one motion, and promised me that when I found the rhythm it would feel right and I’d know when to let go of the arrow. My first few attempts sent arrows everywhere but the target, but finally I centered myself and slowly heeded my instructor’s patient words. It was like a form of meditation, only with a weapon, I realized. I considered the bow an extension of my own arm, and in one smooth motion, drew it up to my chin, pulled back the string and released it. 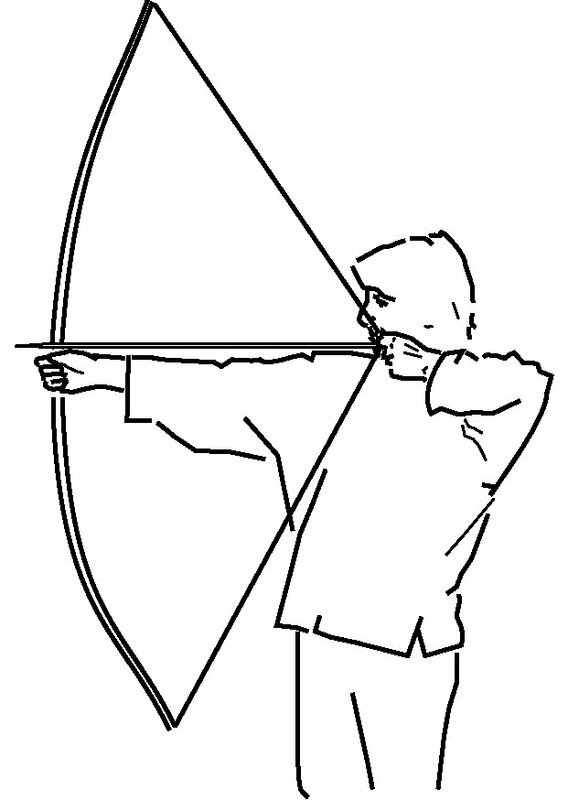 It was a Zen moment; I will never forget the “zing” of the arrow and the “thwack!” as it pierced the bull’s eye. In many ways, life is like shooting an arrow. 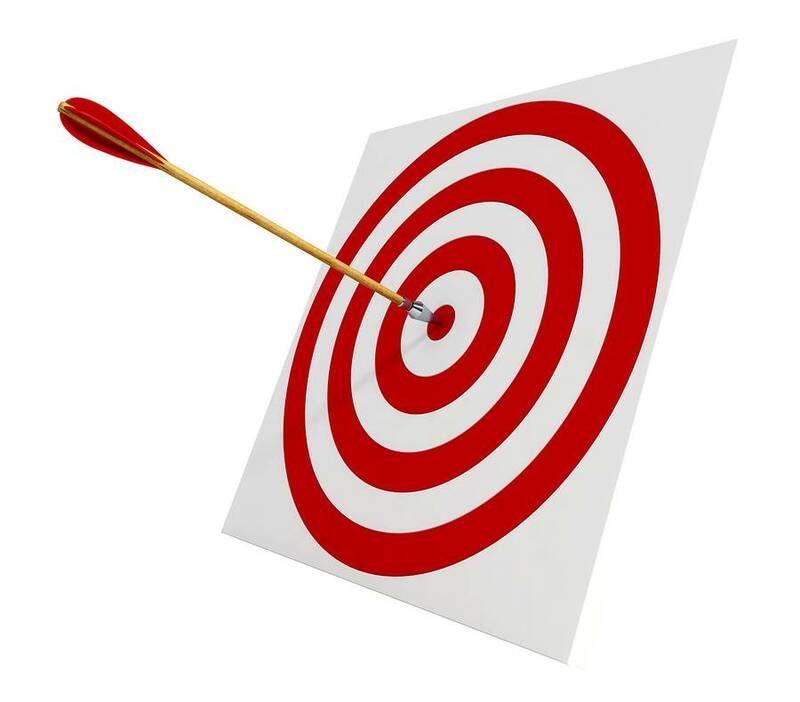 Most of the time we go through life taking aim at what we believe to be the right target, and give it our best shot. Sometimes we hit it. Sometimes we miss. We take our shot and move on, often not seeing where the arrow landed. But every once in a while, we hit our mark. And if we’re really, really lucky, we get to hear about it. The day after Christmas I received the following message from an old friend I recently reconnected with via Facebook. I had not seen or heard from him since the early 70s. I clearly remember our last encounter. It was one of those times when I took careful aim, shot an arrow, and walked away, never seeing where it landed. I doubt that my message was delivered with tact or skill. I was a know-it-all-twenty-something who shot first and asked questions later. But what I lacked in diplomacy was made up in honesty, for I truly did care about the recipient of the message. 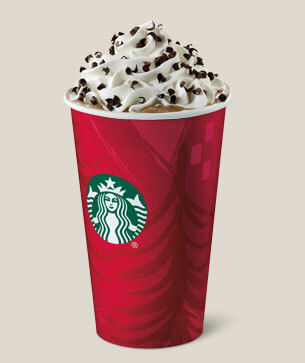 I smiled, remembering how she recently introduced me to the evils of Iced Peppermint Mocha. Such a delightfully decadent drink! Holiday traffic on South Willow Street is a nightmare. I’ve been on that road the weekends preceding Christmas when it’s taken thirty minutes to travel a quarter mile. Like any city driving, there are times when you have to be fairly assertive, if not aggressive, least you become caught in the middle of a catastrophe. However, I’ve always encouraged my children to be polite drivers and not allow themselves to be dragged into a situation where hot tempers and poor judgment prevail. I surveyed my youngest child’s face. She is strikingly beautiful; tall and willowy with huge eyes fringed by thick lashes. Elizabeth is a free spirit- artistic, brilliant… and a bit impulsive. She is usually soft-hearted and thoughtful. I have often thought that she couldn’t be intentionally mean if she wanted to. Still, the holidays can bring out the best, and the worst in all of us. “Lizza! What did you do?” I asked, fearful of the answer. A smile played at her lips. In an instant, memories of my child flashed through my mind. Elizabeth elbowing an opponent twice her size during a basketball game. Elizabeth throwing a rubber spider at a nurse in the Pediatric ICU and making her scream. Elizabeth and her brother stuffing seaweed into Abby’s back pack before leaving the beach. I have to admit that although my daughter looks angelic, she does not always make heavenly choices. She hesitated a moment. My stomach began to tighten. She broke out in a full faced grin. My stomach tightened more, anticipating the worst. It is December and Christmas magic is rolling in like fog across the ocean. Secrets are whispered behind loved ones’ backs, bells and ribbons are pulled from the attic, and the aroma of pine and cinnamon send shivers down the spine. The brown soil that November left behind is covered with fresh snow. 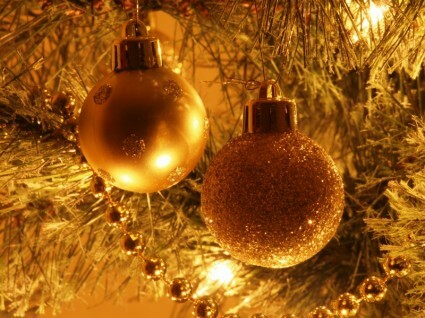 It is a time of peace, good tidings and joy. Everyone is happy. It has only been four years. Almost immediately, I thought of a Christmas carol I learned long ago. 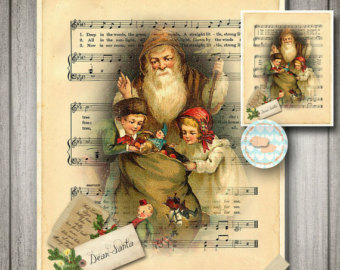 When I was a child, my mother had a beautiful book of Christmas sheet music. Each carol was meticulously illustrated with angelic children with blushing cheeks and curls gilded with glittering gold. The pages were as much a delight to peruse as the strains of the noels it contained. It was from this book that I learned all the traditional carols, from “Silent Night” to “Bring a Torch, Jeanette Isabella.” My mother pounded the keys of our old upright piano, while we children clustered around her, eagerly chorusing for yet another favorite. Some of the keys stuck. Some didn’t play at all, but to us it was music of the gods. One of Mom’s favorite carols was “Good King Wenceslas.” It’s not one of the more commonly sung carols, and I’ve never understood why, but I know why Mom loved it so. When a poor man came in sight, gath’ring winter fuel. Through the rude wind’s wild lament and the bitter weather. I remember my mother wearing the same old coat every winter. She lived in a house with threadbare rugs and holes in the plaster walls. But she never hesitated to give a portion of what she had to someone who was in need. I remember putting my small feet into my mother’s slippers when I was a child. They were big and flopped from my feet. The slippers still held the heat from my mother, and warmed my icy toes. I think it is time to walk where my mother stepped. To take up where she left off- to mirror her love, and kindness. To give a little more and hold on to a little less. I close my eyes, and remember her smile, and the world is a bit warmer once again. Sometimes the smallest things can touch my heart in the strongest way. This is especially true when it comes to lonely people. When I was a little girl it was not unusual to travel with my parents to the nearby town of Palmer, Massachusetts. In those days my hometown of Monson only had a few stores, but Palmer was a larger community with bigger stores. We frequently visited PD Shoes and the Five and Dime store on Main Street, and my mother often shopped for groceries at Palmer’s A&P. Trips to Palmer were an adventure. My mother piled all eight of us into the station wagon, where we elbowed each other an d fought over who got to ride in the front or the “way back.” There were no seat belts and the baby car seat was an invitation to disaster. But by the grace of God and St. Christopher, we always reached our destination without disaster, with the exception of the time my brother Scott barfed all over the back seat. On these road trips I usually watched the scenery- pedestrians crossing in front of the Monson Bowling Alley, mourners at Hillside Cemetery, sheep and horses on Palmer Flats. Each five mile trip was pretty much the same as all the others. But one day my mother took an alternate route and passed by the A&W Root Beer stand in Palmer, and the next ten seconds changed me forever. As we drove by, I saw a man in a business suit sitting alone at a picnic table, his lunch in front of him. He looked entirely ordinary- like any other businessman who might have stopped for a quick lunch on his way to an appointment. But as I watched him from our passing car, a lump formed in my throat and a great sadness filled my heart. My eyes filled with tears that I could not understand or explain, so I quickly wiped them away and pretended to be engrossed in looking out the window. I didn’t dare tell my mother or my siblings. I could only ponder the moment and try to figure out what would evoke such a strong response in my deepest soul. The only interpretation I could come up with was the man was lonely. This was the beginning of a sensitivity I have toward people- especially strangers- who seem to have no one. I would love to say that I always am kind and conscious of other people’s feelings, but this simply is not the truth. There are many times when I get so caught up in my own life’s events that I fail to recognize the needs in others. But every once in a while something pricks my heart and without warning, my eyes become hot with tears. These words cut straight to my heart, and that old familiar lump rose in my throat. I have never met this woman but I think she must ache with loneliness. Although I am aware that we often make our own unhappy situations, I cannot imagine how painful it is to not get a call or email or visit from a loved one- to not share a funny story, or talk over a problem, or cry over a lost friend. I think that loneliness is a silent illness. Those who suffer from it hide their malady, afraid that they will become the accused if they cry aloud. Our culture chastises those who are lonely, telling them to join a group, donate time to a charity, give of themselves. And while this can alleviate some symptoms, there are those people who spend their lives doing and donating, and still crawl between the sheets at night feeling cold and unloved. I might not be able to change the world, but if each reader of this post took one step to alleviate loneliness, and shared it so others could follow suit, we could certainly impact those around us. I invite you- challenge you- to come up with a suggestion and share it in the comments below. Let’s see how far the ripple travels. 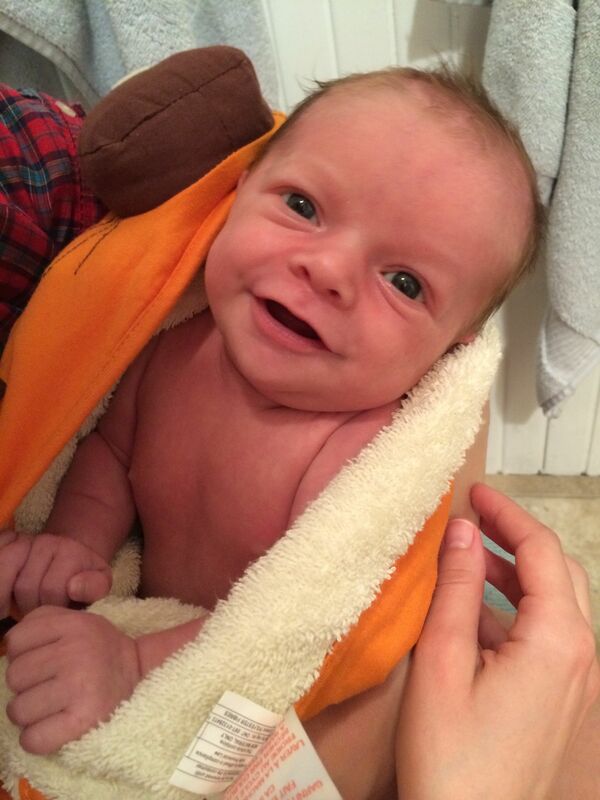 When my daughter Abigail gave birth to my first grandchild, Judah, I knew I would be smitten. Everyone I knew warned me that the well of love that comes with the birth of a grandchild is very deep. “You will love being a grandmother!” they predicted. “It’s more special than anything!” they encouraged me. “You won’t believe how much you love him!” they assured me. I knew they were right. I just didn’t realize that the well is so deep it is bottomless. Last weekend, Abby and her husband, Johnny went to a wedding and left Judah with me for the afternoon and evening. I rose early and finished my normal weekend chores so I would have nothing to do but care for my little grand bundle. At 1:30PM, the prince arrived, and armed with frozen packets of mother’s milk, flannel burp cloths and magic diapers that change color when they get wet, I settled in for an afternoon of cooing and cuddling. We played Pat-a-cake. We sang songs. We played with a rattle. Judah woofed down a bottle, burped and spit up on the living room carpet, grinning with glee. But shortly after a diaper change, his little face crumbled like the mask of a sad clown and he began to cry. I gathered him close, stuck his pacifier into his mouth and gently stroked his head. Within a moment or two his eyes closed and his little body relaxed in peaceful repose. Often times we love people because of what they do. We love them because they make us feel good. Because they whisper sweet nothings that brighten our days. Because they make us feel proud. Or important. Or warm and cozy. Or needed. But Judah doesn’t really do anything to earn this love. He just is. But what does that mean? What is it about a grandchild that flips our heart upside down and makes us want to drop everything for a cuddle and kiss? I decided to break down some of Judah’s qualities and see if I could make logical sense out of this. Judah smells delicious. 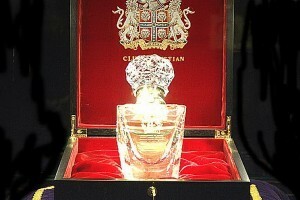 I read somewhere that the most expensive perfume sold is Clive Christian #1 Imperial Majesty Perfume. It sold for $12,721.89 an ounce. I can guarantee that its scent is no sweeter than a newborn baby’s downy head. Sniffing Judah’s neck makes me somewhat euphoric. And it’s free. Judah thinks everyone loves him. This is probably true, since his experience is limited to family and friends. But there’s a lot to be said for approaching the world with total confidence that everyone thinks you are wonderful. When people smile at Judah, he mirrors those good vibes. Judah reminds of us that life is about the basics. Getting enough food. Staying warm and dry. Love. 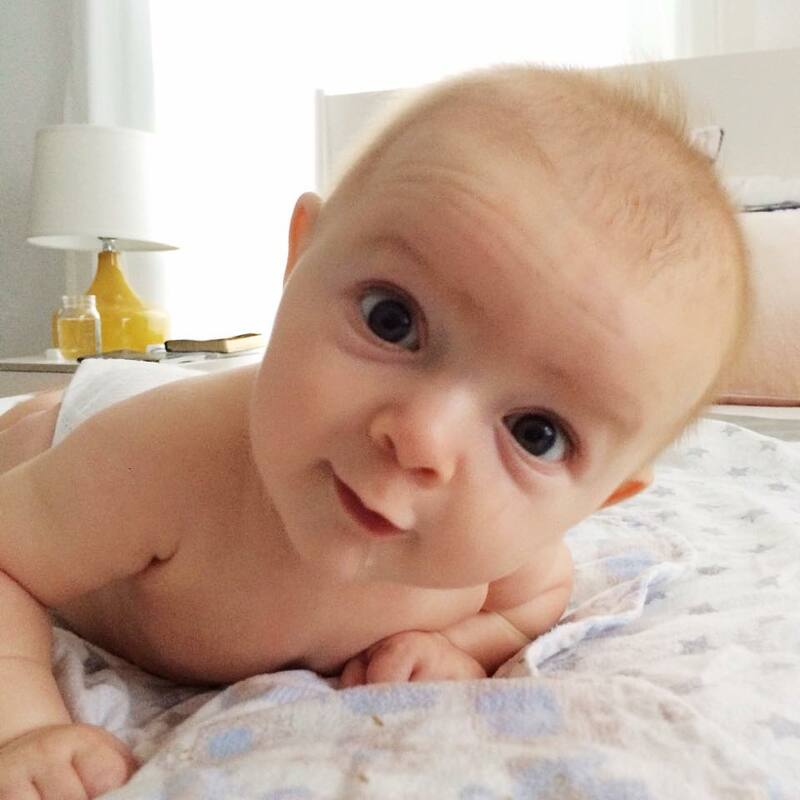 There are a ton of products that advertisers will tell us we need for babies. But babies don’t really care if their clothes are new, or if they are wearing hand-me-downs or thrift store finds. 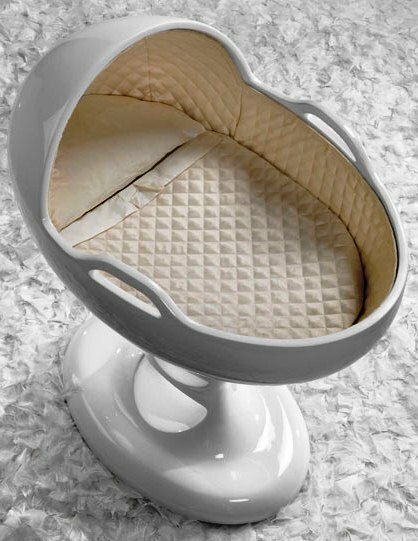 Babies all over the world are pretty much the same, whether they sleep on a mat with their mothers, or in a $2,500 Egg Dodo Baby Basket. (No, I didn’t make this up.) All they really care about is food, staying warm and dry, and love. How do we so easily stray from these priorities? Judah is an extension of me. I watch Abigail- my first born- deftly tend to him and am in awe that this capable mother who is clearly this baby’s favorite person on earth was once my own helpless newborn. I’m sure his other grandmother feels the same way when she looks at Judah and remembers his daddy as a little tyke. The continuity of this life cycle is comforting and reassuring. Judah has made two families one. I thought this would happen when Abby and Johnny first got married, and while it did in theory, the relationship was more one of the head than of the heart. But when Judah was born, we gathered together in one room, as one unit, to welcome him to the family. We all love him- grandparents, aunts, uncles, cousins- and as a family we will raise him to know this. Lastly, but this speaks most loudly to me, Judah has my mother’s eyes. They are big and gray and serious, just like my mother’s. They laugh easily, but sometimes I catch Judah’s eyes studying mine, as if he’s looking for what’s hidden deep inside my soul. My mother’s eyes searched mine- when I was a child and wasn’t telling the truth, when I was a young woman sharing my hopes for the future, and in her final hours, when I held her hand and reminded her that the faith that guided her in this life would carry her to the next. I look into the deep gray pools of Judah’s eyes and I see my past and my future. And somehow, for a few moments, everything is right in the world. I woke up this morning feeling incredibly grumpy. The central air conditioner in my apartment broke for the second time this season, and besides being against the rules, it’s impossible to fit a fan in the windows. Because of the tropical temperatures and 100% humidity, I had to sleep with the blinds open, which meant the lights for the parking lot flooded my bedroom. 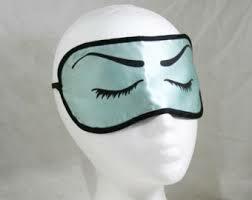 I tried wearing a sleep mask, but it must have been too hot, because it was under the bed this morning. I woke several times during the night and by the time my alarm went off, I was more exhausted than when I went to sleep. I looked out the window at the dripping sky, and hearing a noise, looked to find its source. Just under my window was a skunk, foraging for its breakfast. I quickly cranked the window closed and immediately my room became hotter and stuffier. Getting ready for work brought no improvement. My hair frizzed and my makeup smeared. My back ached and my head pounded. I muttered under my breath at the unsigned lease sitting on my desk, wondering if I could scrape the bottom of my bank account for the deposit on a new apartment. I pulled on a pair of khakis and a cotton top, packed my lunch and grabbed an umbrella. As I turned the corner to drive into my workplace parking lot, I almost ran into a police car, lights flashing, stopped on the hill so the office could dole out a speeding ticket. I slogged up the stairs, opened my office and turned on my computer. My email was already clogged with requests. Five minutes later, there was an announcement of a “Code Red” on the overhead intercom. Code Red means fire. The location was the parking lot. I ran down three flights of stairs to locate the source and assess its severity, only to find that the “smoke” seen by the person calling the alarm was steam from an overheating truck. I trudged back up the three flights of stairs and plopped into my chair to attack the emails. Giving an audible sigh, I opened the first one and found this. And suddenly, the sun is shining.